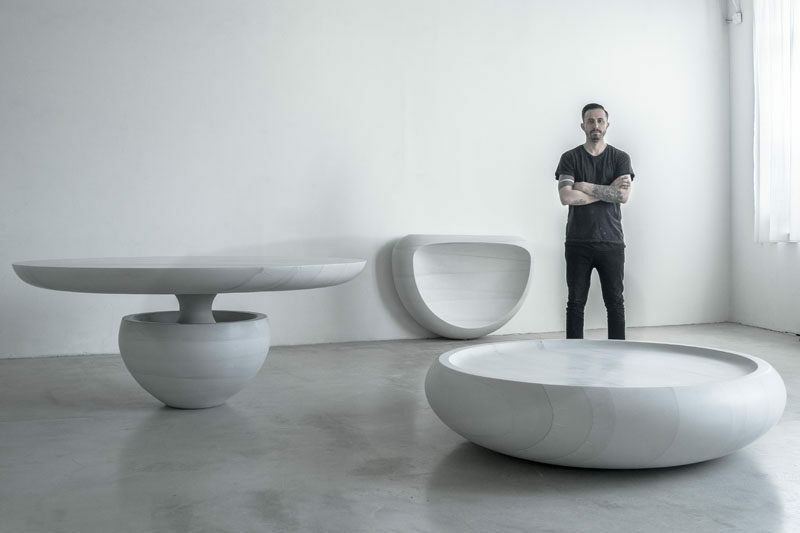 Fernando Mastrangelo has created the modern furniture design series GHOST, that was recently introduced at Collective Design. These large-scale pieces are made entirely of cement, using a robotic arm. The dining table looks as though it is defying gravity, with the top of the table being balanced on a round bottom. The softness of the carved cement make this an inviting place to sit for a meal. 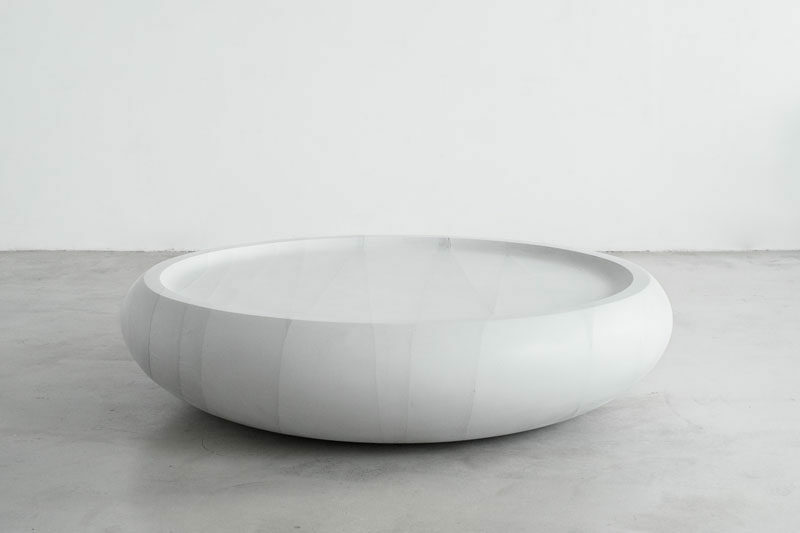 The oval coffee table sits on its own and also has soft curvature. The table is simple and modern making it a timeless piece. 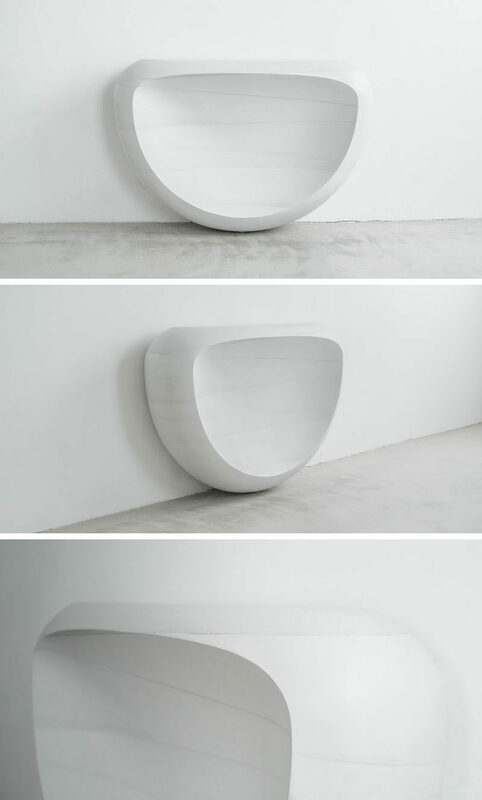 The concrete console stands against a wall, and shares the same minimalist aesthetic of the other furniture with white concrete and soft curves.